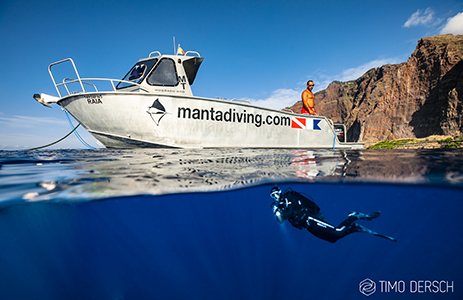 Along the east coast of Madeira, after a 25 minutes boat drive from Manta Diving, we arrive at the diving spot known as the "Tres Marias" in Machico. 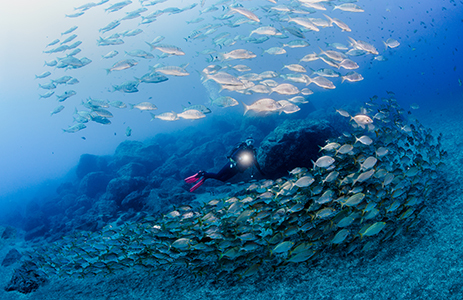 Here we find a large rock formation which arises from 35 meters depth to up to 5 meters under the water surface. 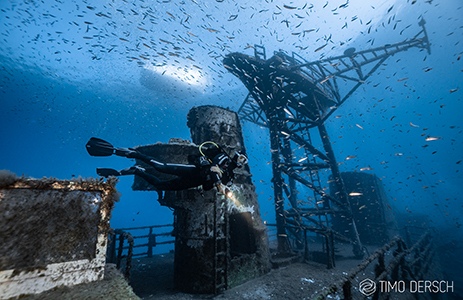 A unique spot where the most beautiful black coral grow, including the rare whip coral, which gives this diving reef a tropical touch! 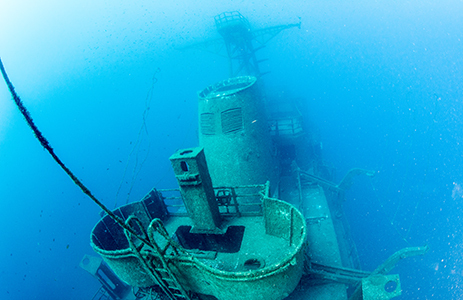 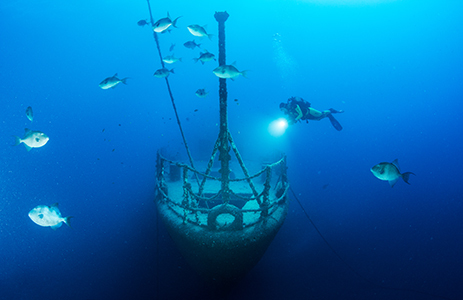 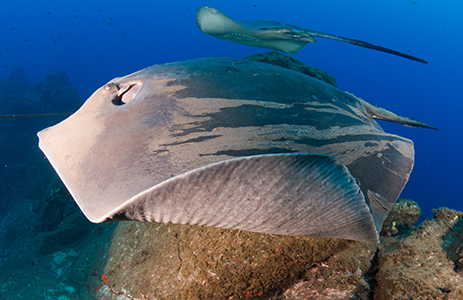 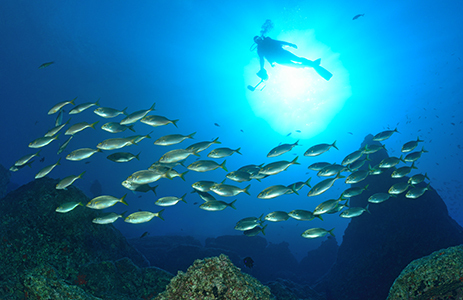 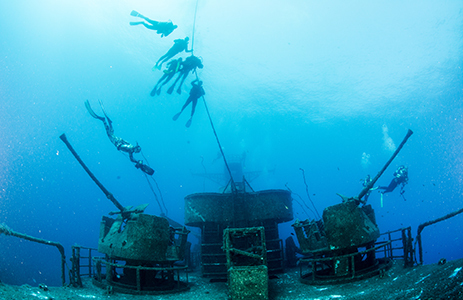 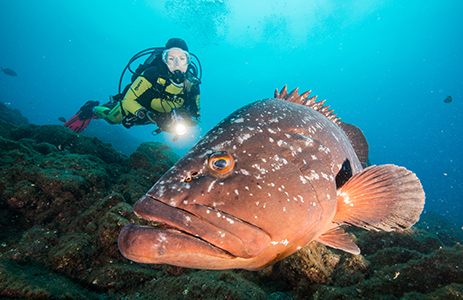 This diving spot is ideal for more experienced divers and can only be approached under optimal weather conditions!